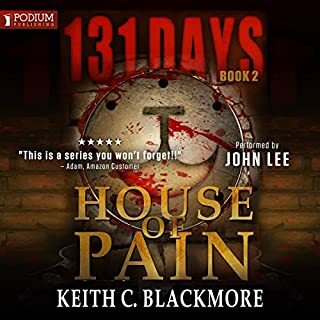 This is a great freebie, with also a free chapter to his book topped on the end... a little gory, but a very gripping short story. Hoped to see more from this chappie, but only 1 other listed :( I shall; be getting that next book shortly! I wasn't sure whether I was going to enjoy this particular genre, however I was pleasantly surprised at this one. The story is rather gruesome, though one wonders whether the narrative would have quite the same effect without being so graphic. On the whole I enjoyed this. The general premise is that Gus Berry is in need of supplies, and the hospital has what he wants. In his way, however, are various zombie creatures within the hospital and around, intent on feeding on his flesh. I've put more of the 'Mountain Man' on my wish list. Recommended. This is quite a dark, gory zombie tale. Darker than the Walking Dead, In my opinion. Some of the aspects of the story seem to be in there just for shock value. Not really my taste, I won't bother with any more in the series. 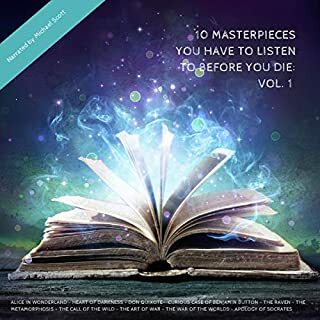 What made the experience of listening to The Hospital: The FREE Short Story: The First Mountain man Story the most enjoyable? I thought it was very descriptive, and held my interest even though I wasn't sure what to expect next. It is not a book I should have listened to driving home on my own on a dark wet night. But saying that I then sat up in bed listening to the end because I needed to know what happened. What other book might you compare The Hospital: The FREE Short Story: The First Mountain man Story to, and why? Can honestly say it was as scarey as Dean Coombes Watchers. They are not my normal read. I needed to Finnish the book but won't be listening to it again, that is just me just not in my comfort zone. If you just want something to while the hours away then this will do you fine.... It lacks the elegance of others in its genre but the basics are there and it's very easy to get into the main character.. Excellent - have already download Mountain Man! A very gripping intro to the series introducing the main character and environment. I have already bought Mountain Man before my credits rolled over as I couldn't wait to get stuck in. If you could sum up The Hospital: The FREE Short Story: The First Mountain man Story in three words, what would they be? It made buying the Mountain Man Saga "a must". This was my first book in this genre (even though I love The Walking Dead TV series). 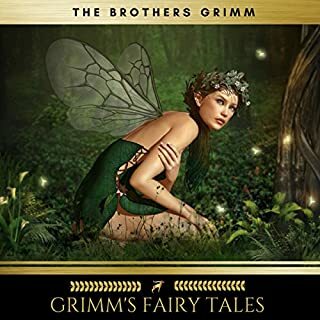 This book is superbly written and narrated and is very similar to the Mountain Man series. Crazy Alice. R.C. 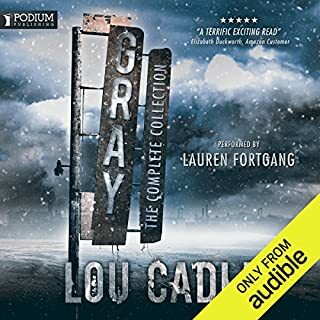 Bray is by far my favourite audio book "narrator" - when he performs a character I actually forget it's the same guy narrating and start to "buy into" the character as a real person. Bray's portrayal of crazy Alice was amazing. I really believed it was a woman and a crazy one at that. Just brilliant. 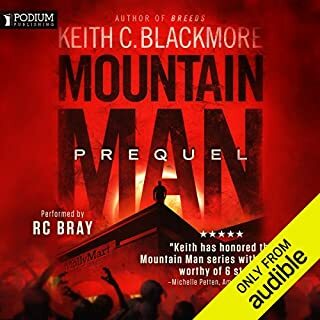 I don't know who's idea it was to give away for free this chapter/scene from the Mountain Man saga but it is a piece of marketing genius. 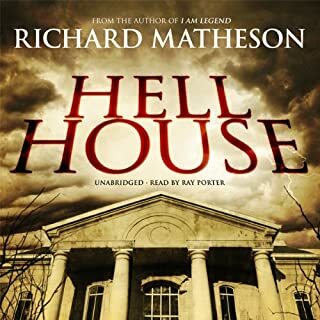 This is not the type of book I would read or listen to but I thought I'd give it a try as it was free and R.C.Bray was narrating it (a brilliant narrator). Not only did this free sample force me into getting the first 3 books but it actually introduced me to this genre. This was so f****** scary. It gave me the extended TWD episodes (you remember that one of the special short's with the nurse, right? ), kinda vibe, but it was original in a completely different way. 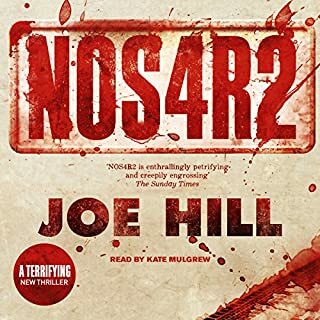 The sense of urgency and terror was very well written and enjoyable to read, it was both relatable and terrifying, and the characters were well fleshed out too. 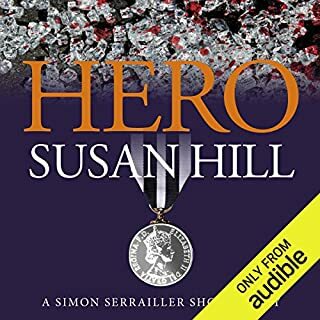 I was very lucky that this story was a free one, because I immediately bought the whole series, it looks like it will be quite a read, so will keep you posted! If you want to try and see if this style of writing and exposition is your cup of tea, give it a go! You will not regret it. What did you like best about The Hospital: The FREE Short Story: The First Mountain man Story? What did you like least? I love zombie apocalypse/outbreak films so this was pretty much like every one of those types of films. It was dark, atmospheric and I felt on edge listening to the description of the hospital. The bit I liked the least was some of the gore; at least on film this is over and done fairly quickly and you can look away but some of the detailed descriptions were a bit overwhelming for me. I liked that for ONCE, the central character actually has some brains and has made themselves a bite-proof outfit that particularly guards the neck and limbs. My god, after all the zombie films I've seen over the years, mountain man gets it right. It gets taken off him at one point but the fact is, he had it. I also liked that he's built his house in the tree tops in a totally remote area far away from the zombie infected city. This guy is serious about survival. 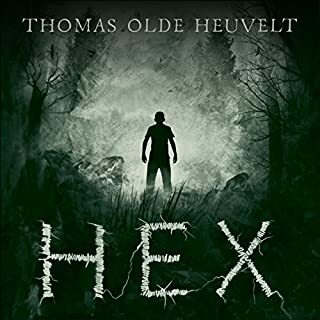 I liked the narration, I thought it was well-suited to this type of novella. 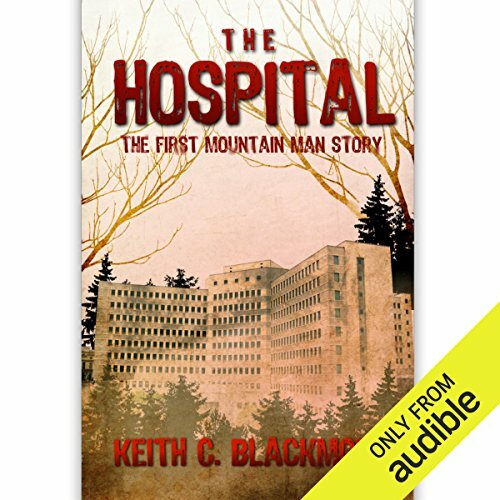 Did The Hospital: The FREE Short Story: The First Mountain man Story inspire you to do anything? It inspired me to think about my zombie apocalypse survival plan. This was a decent offering for free. 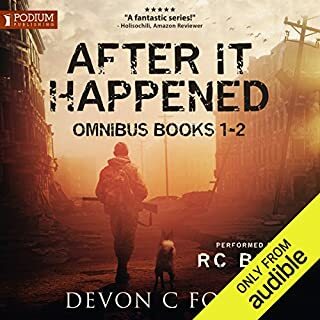 It's just over an hour long and it gives you a very very generous look in to the next book in the series. It's very different to my normal reading fare but I enjoyed it. Its a story that takes you into a nowhere land of a post apocalyptic knightmare of one mans struggle against insurmountable odds. Maniac nurses, zombie babies and zombie's . I enjoyed evey minute of the journey in this mans company. I felt his fear and frustration of being the only sane person in this chaotic post apocalyptic world. I can't wait to read or listen to the rest of the story. Thanks for my first taste of the Mountain Man and Gus's fight against “Gimps” and psycho humans alike! This story was crazy scary, funny, and a great new spin on fighting Zombies! Also, enjoyed the preview of the Mountain Man Series! I’ll be back for more! If my headline bothers you, stop now, you will hate this book. Augustus Berry is not the most cultured of men. He is fat, balding and loves to drink himself to a stupor. He has no military experience (how unique is that for a Zombie book. ), he survives, because he has watched enough horror movies to know the correct way to behave in an apocalypse. This is gory, scary and smelly. Yea, you will smell things you don't want to smell. It is not just bloody and gory, it is very scary. Watch out for the Stephen King's "Misery" scene, but mostly watch out for the babies!! At the time I am writing, this is free. Get this in your library before someone changes their mind. 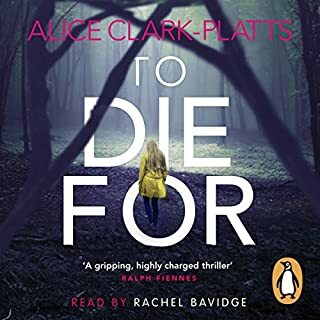 This is the best short story I have listened to, Paid for, or otherwise in a long time. R.C. 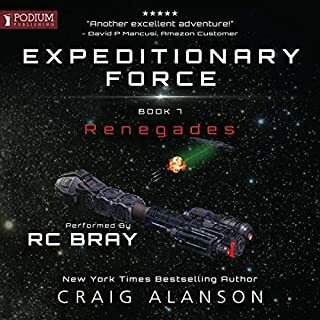 Bray is one of those narrators that is the tipping point for a book, when you are trying to decide if you should purchase. 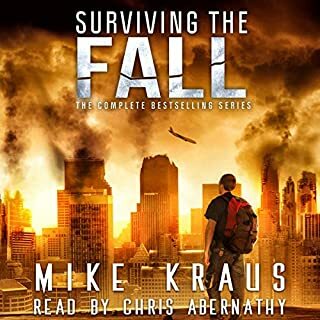 Normal down trodden guy surviving the apocalypse with booze and humor thrown in to spice things up. The nurse was so creepy! RC Bray did a wonderful job, yet again, bringing these characters to life! Hilarious. 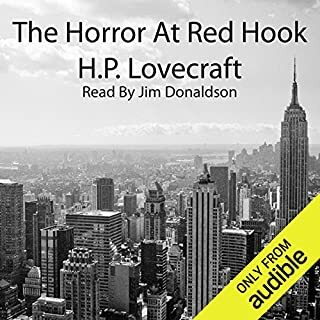 The Audiobook equivalent of "The Room"
Pretty good short story. Great for a quick read. This story was well written and kind of creepy I would recommend. Your worse fears about hospitals and then some! Yes, because it is a nice short and sharp story. 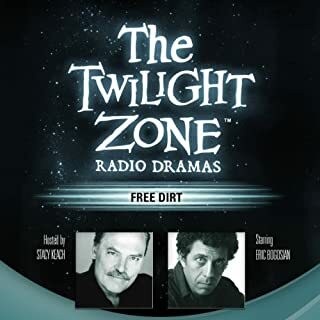 With excellent narration and it will leave the listener wanting more! What was one of the most memorable moments of The Hospital: The FREE Short Story: The First Mountain Man Story? Just download it! And you may as well download the followup book. I just wish the author would write the next one! Not Sure About This Series? 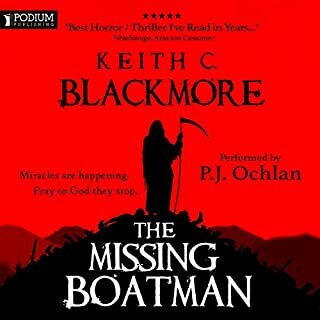 I got this after listening to the Mountain Man and I get why the reviews for The Hospital are on the average side. In the Hospital you get a taste of who Gus is but just a taste. Do yourself a favor and get The Mountain Man. You'll get to know Gus better and enjoy Mr. Blackmore's fine story telling skills. I really liked that story and I am looking forward to more of the Mountain Man. I saw on a few forums that many people were enjoying this listen. I enjoy many genres and thought I would give it a listen. I could not stand the story and constantly had to refocus. It just didn't keep me gripped. Bray was decent with the narration.